695 Commercial Properties in Nt are listed in 7 categories. We have 336 Industrial Warehouses for Sale & Lease , 259 Offices for Sale & Lease , 52 Retail Shops for Sale & Lease , 34 Development Lands for Sale & Lease , 22 Showrooms for Sale & Lease and 20 Medical and Consulting Properties for Sale & Lease . Industrial estate designed to cater for the expansion of Port Related Industry. Lot 6008 3140 m2 Zoning DV Development Covenants apply View by Appointment 7 Days! For Sale: $690,800.00 + GST For more information, or to arrange an inspection, call Nick Syrimi today at Ray White Commercial (NT) Visit our website rwcnt.com.au to view all our property listings! 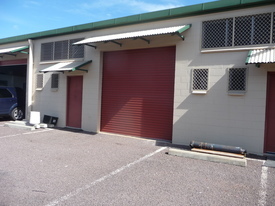 Warehouse unit with mezzanine office Total building area approx. 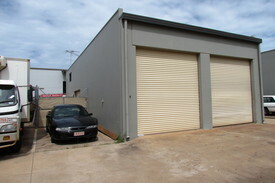 95m2 Mezzanine office approx 21 m2 Rear yard approx. 32m2 Undercover car park Motorised roller doors front and back Shower + toilet combined Kitchenette View by Appointment 7 Days! For Sale: $270,000.00 + GST For more information, or to arrange an inspection, call Nick Syrimi today at Ray White Commercial (NT) Visit our website rwcnt.com.au to view all our property listings!
. Strata A Grade Office Suite within a landmark Commercial Centre in the heart of Parap. New strata A grade office suite Office tenancy area 212.5 m2 Ground floor tenancy Ducted air conditioning system Amenities include kitchenette, W.C x 2 Qty 2 reserved under cover car parks on 1st level Customer common parking provided for the complex Available now View by Appointment! For Sale: $995,000 + GST For more information, or to arrange an inspection, call Nick Syrimi today at Ray White Commercial (NT) Visit our website rwcnt.com.au to view all our property listings! Strata warehouse unit Total ground level building area approx. 146 m2 2x partitioned offices, plus 1x air conditioned work room area approx. 108 m2 Storage area with roller door access area approx. 38 m2 Mezzanine storage area approx. 108 m2 Masonry block construction Shop front glazing Amenities kitchenette, plus 2 x WC 3 metre wide motorised roller door at the rear 2 car parks on title Vacant possession on settlement View by appointment during business hours For Sale: $385,000 + GST For more information, or to arrange an inspection, call Nick Syrimi today at Ray White Commercial (NT) Visit our website rwcnt.com.au to view all our property listings! Situated in the popular Yarrawonga industrial area, this warehouse (approx 50m2) has great internal height, an electric front roller door and side roller door access out to a secured side yard, allowing for good air flow throughout. Other features include a mezzanine office( 20m2) , kitchenette with split system a/c, toilet and shower(20m2), secure parking for 2 cars, 3 phase power and more Currently leased until August 2019. Will suit investor or an owner occupier. Call Martin Gore 0417 850 933 or mgore@dwn.mcgees.com.au today to arrange an inspection. This warehouse provides excellent high clearance approx 6.8m. The total floor area is approximately 160m2. There is 3 phase power to the building. The mezzanine area has 2 offices (24m2 and 13m2), with amenities on the ground floor. There is under cover parking at the front of the building. Available now, all serious offers will be considered. Complex of 8 units Strata warehouse unit Building area approx. 80 m2 Side yard area approx. 55 m2 Mezzanine level area approx. 20 m2 air conditioned Floor plywood Downstairs area Floor concrete painted finish Kitchenette Disabled W.C + shower combined Motorised front roller door Side roller door manual operation 2 allocated car parks Lease term 1 + 1 years Rent Income $15,600 per annum, GST excluded View by Appointment 7 Days! For Sale: $210,000.00 (GST does not apply) For more information, or to arrange an inspection, call Nick Syrimi today at Ray White Commercial (NT) Visit our website rwcnt.com.au to view all our property listings! Ideal for the small business or household requiring extra space for personal belongings Small storage unit 31.5 m2 Masonry block construction Motorised roller door and standard entry door View by Appointment 7 Days! For Sale: $70,000 + GST For more information, or to arrange an inspection, call Nick Syrimi today at Ray White Commercial (NT) Visit our website rwcnt.com.au to view all our property listings! Total building area approx. 488 m2 Construction : Portal steel frame with metal cladding Street exposure to Tivendale Road The property is in excellent condition throughout. Warehouse area approx. 400 m2 Office area approx. 88 m2 Carport for 4 car bays directly in front of the office Further common area parking at rear Property features Office area fully fitted out Reception area plus 3 partitioned offices Staff room with kitchenette 1 x W.C Warehouse area clear span Wide motorised roller door 1 x disabled W.C + shower combined Sold vacant possession on settlement View by Appointment 7 Days! For Sale: $990,000 + GST Also available for lease at $54,000 + GST per annum For more information, or to arrange an inspection, call Nick Syrimi today at Ray White Commercial (NT) Visit our website rwcnt.com.au to view all our property listings! Building approx. 75 m2 plus additional mezzanine area of 34 m2 Fitted out with front office Masonry block construction 1x shower W.C combined Bench with sink unit and overhead cupboards Roller doors front and rear Mezzanine includes office area of approx. 15 m2 and storage area of approx. 17 m2 Rear yard area approx. 20 m2 1x car park on title, plus communal parking Unit entitlement area 109 m2 View by Appointment 7 Days! For Sale: $275,000.00 GST excluded For more information, or to arrange an inspection, call Nick Syrimi today at Ray White Commercial (NT) Visit our website rwcnt.com.au to view all our property listings!